I feel bad a times for referring to my sofa as such, but sometimes it just really annoys me. Yes, it is a true statement that I purchased this sofa with my own money…but I was young and dumb. Sheesh, it was almost 3 years ago for goodness sake:) Now I am loving lighter sofas, which I feel don’t anchor the room down as much. Whenever I hint toward a even looking at a new sofa, my husband politely replies “heck no,” not really heck, but you get it. So while I may be stuck living as a beauty with this beast, I am will make the best of it by finding ways to brighten it up. Here are some inspirational photos. So yeah…these pictures are inspiring me to learn how to live with and be thankful for the sofa that I have. I also see hope:) I plan to add more white pillows and lighter brighter throws to liven up my sofa up even more. Come to think about it, white doesn’t do to well around my house, so I may have to rethink that. Next Post Happenings, Planned Projects….. and Me? A Host for Thanksgiving? I had the same problem. I bought a dark brown couch that was super comfortable but by the time I was over it, I was over it. Luckily I had a friend that needed a couch and bought it from us. But if I have learned anything from couch buying…go neutral. 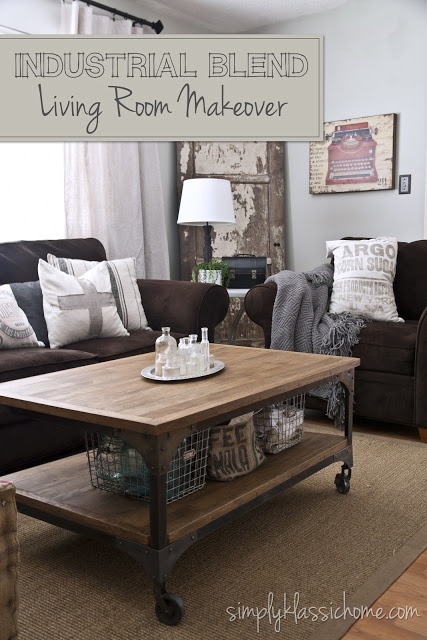 We have a brown sofa as well and we love it! It gives me piece of mind cause I don't have to fret every time the kids eat on it. 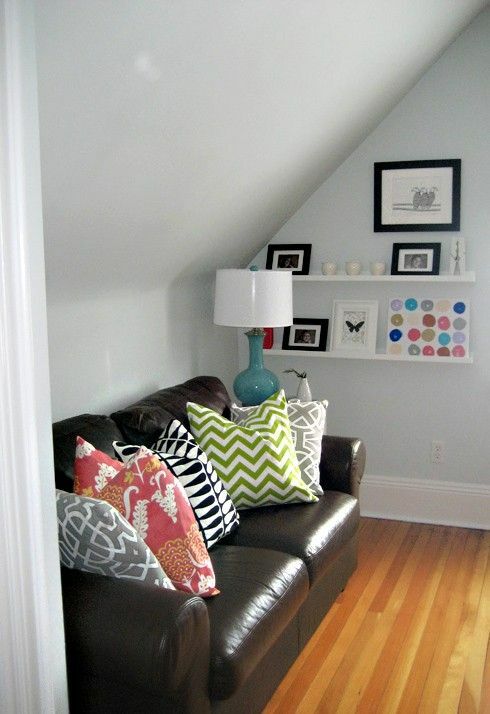 I brighten it up with a neutral wall color, colorful pillows, and bright curtains. Brown really is a good neutral. The rich tones are perfect for this time of year. And, then adding more creams during the winter months will brighten things up a bit. And, with a little one…you'll be glad you don't have that lighter sofa!! Great accessories do make all the difference in the world. I have a white sofa and believe me when I tell you I'm super paranoid that it's going to end up getting stained one of these days. At least with a darker color you can relax since stains don't really show. We have a big brown beast too, but I love it! 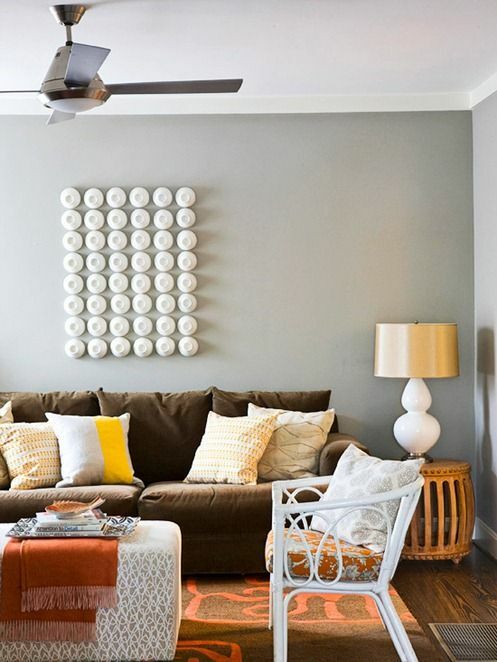 I think you will fall back in love with your sofa by choosing brighter accessories. Allowing more natural light in will also make a big difference. 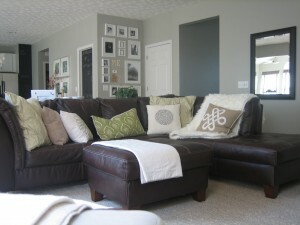 Brown sofas have been so popular in the last 10 years. But now I've fallen for pretty grey sofas! 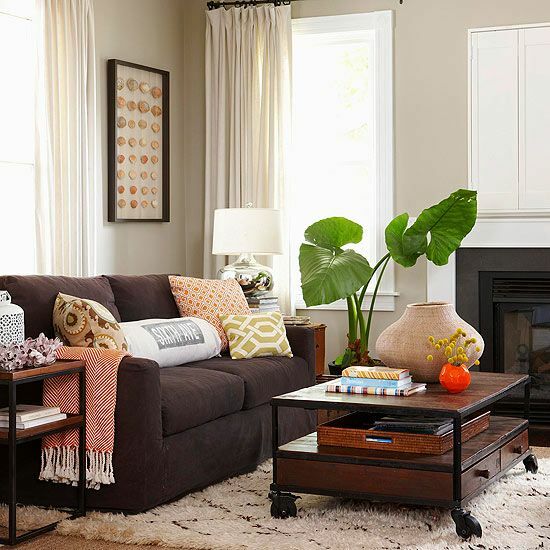 In the inspirational pics you posted, I'm really loving the combo of orange & cream pillows with the brown sofa, for fall & winter. In the summer, I would probably pick pretty blue pillows for a beachy feel.